I live in a glorious miserable and grey part of the UK. 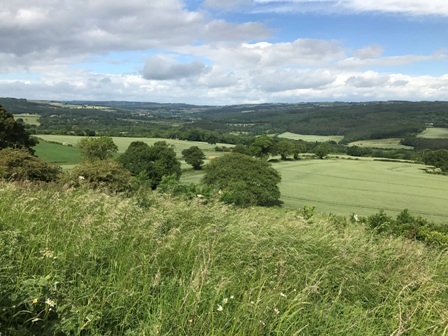 During the past couple of weeks reports of glorious days have been broadcast widely, whilst the view outside reveals the same grey and cool conditions. My river valley is verdant and productive and grey cool conditions are perfect for trout fishing. The mayfly (E. Danica ) are hatching for the last few days and wild trout are packing on condition whilst the going is good. These are good days for the river fly fisher. I’m also in training mode practicing for the Rivers International next week where I will again be representing England. Therefore my practice has taken on a methodical no holds barred approach and catch every fish on every method. Normally I would take a far more casual approach. If that fish doesn’t want a dry the next one will. These practice sessions do reveal insights into how many fish one method anglers might leave behind. One of the methods I used last week was fishing the swimming mayfly nymph illustrated. This is on the website in a step by step but this version is tied on a small jig hook and a 3 mm tungsten bead. The tie is simple and involves a single marabou tan barred chickabou feather and pheasant tail as a thorax. The upper thorax portions of the wound feather do a great job of imitating the natural breathers and legs on the natural. It is a 2 minute tie but a great fly. The fly and indeed the technique can be adapted to other large Mayfly species like the green drake. It is a technique somewhere between dead drift nymph fishing and fishing a streamer. I generally fish it upstream but it can work any which way and cast at rising fish with better than good success. To a dyed in the wool dry fly fisher like myself it takes something special to pull me of the top of the water and this fly and technique does it. The rig is simple. 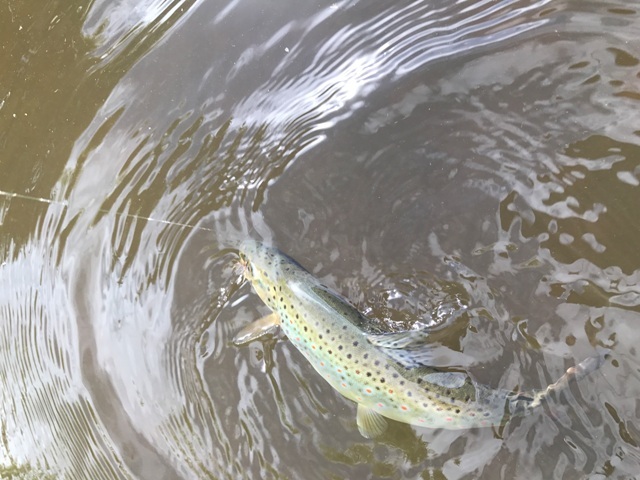 The nymph is tied on to 4X tippet (don’t mess around because you will get smash takes from big fish) about 3 feet in length tied to an onstream-guide furled leader greased with red mucilin. Our furled leaders are back in stock! Then fish as long a line as you can control, typically 2-3 rod lengths. This is a swimming nymph pattern and you need to work the fly in slight twitches and by lifting the rod. It is also a highly visual and tactile method. If you see a fish turn in the vicinity of the fly, lift. Chances are it has taken the fly. 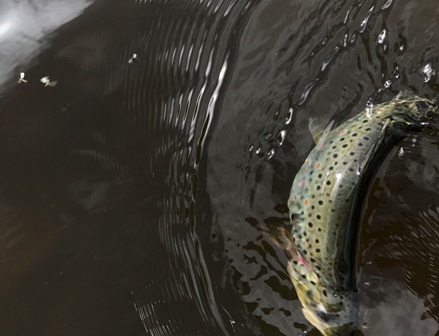 With practice it is possible to see trout approach and gently sip in the fly sub surface. It is similar to old upstream nymphing but you are imparting motion to a swimming fly. In the right conditions I believe almost every feeding trout in the river will take the fly. I tested the flies in my local stream. The first pool had a well trodden path down to it but a great looking break. I generally roll cast a fly like this and dropped it two rod lengths ahead. Almost instantly a nine inch trout snaffled the fly. 3 casts later a bigger fish. In the end seven nice wild fish from a small area of river in less than 20 minutes. All except one fish I saw take the fly. It is a great technique that can be used when larger upright species are hatching. The notion of the dead drift dry fly is also less important when larger species are hatching. Larger flies move more relative to their size and the speed of the current. It is often the fluttering movement of large Mayfly that result in their untimely demise inside a trout’s stomach. This is one reason for the oft quoted “duffers fortnight”. Fish can be a bit presentation blind and hit far more skating and dragging flies than normal. However, hard pressured fish will also respond to movement in smaller flies like the soft hackle dry fly (back in stock next week). 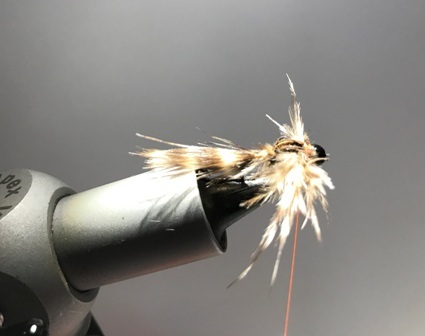 The soft hackle dry is an ideal candidate to be twitched enticingly in front of trout those legs wafting in the current doing an excellent job of imitating life movement. This additional trigger is often enough to tip the balance in favour of the fish taking the fly. I had an excellent hour’s small stream fishing on the stream right in front of Riverview, the home of Onstream-guide. The best stretches of trout stream are often hidden in plain view. I chose this section because it was very overgrown with many trees perfect practice for the small overgrown stream the competition is on next week in Wales. I fished upstream dry first upstream in long slow moving shallow flats. The first fish I saw move was in a bay only 15 feet upstream of me. I could have tried a curve cast around the obstruction (foliage) but opted for the more pragmatic cast the fly on the fish and deal with the foliage after. It was a stocked fish but the only one of the session. There followed no fewer than 11 wild fish in the 14-16 inch size range almost in sequence. From the way they fought, like crazy tigers I knew they were virgin fish (not hooked this season). 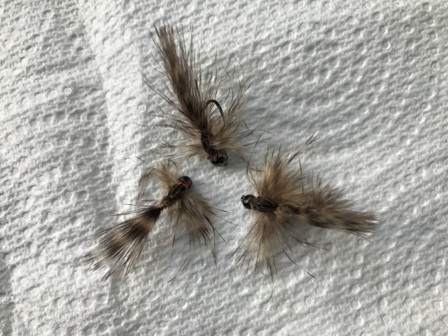 I changed techniques in streamy water and caught fish on nymphs under the life jacket caddis. This was taken (almost certainly as an emerging Mayfly) on 2 occasions. Words cannot do these trout the justice they deserve. They are stunningly marked, well conditioned wild brown trout as the pictures show. They took the soft hackle dry fly without hesitation. 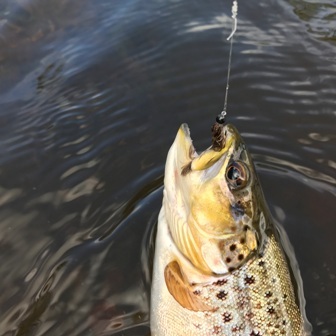 Early Summer is a great time for the river fly fisher and seldom will fishing be as productive. These are the days we yearn for in the dark cold days of Winter. Enjoy!